When the weather gets cooler, residents try to keep warm by using fireplaces, wood stoves and space heaters. But some of these can present a danger that could result in losing a home or, worse, a loved one. It’s easy to understand that many holiday traditions have the potential to put us at an increased risk for fire, and during the holidays it can be especially challenging to keep fire safety in mind with many other things competing for our attention. (ARA) – Pie, cookies, peppermint – you name the sweet, and it’s surely no stranger to the holiday season. For many, this time of year means extra indulgence and, consequentially, extra inches added to the waistline. "Can ya see what it is yet ? " Fires in private dwellings represent the greatest threat to civilian life and are responsible for more than 70 percent of annual civilian fire deaths. In Video #13, Private Dwellings, John Norman discusses the real-world tactics used to fight fires in private dwellings. With over 425,000 one- and two-family private dwelling fires per year, it is a situation that eventually every firefighter will be faced with, many on a weekly basis. ENTEBBE, Uganda – Recent natural disasters like the earthquake in Indonesia, the tsunami in Samoa and the H1N1 flu outbreak have brought home to the world that disaster response is a critical function that must be carefully planned, coordinated and conducted. 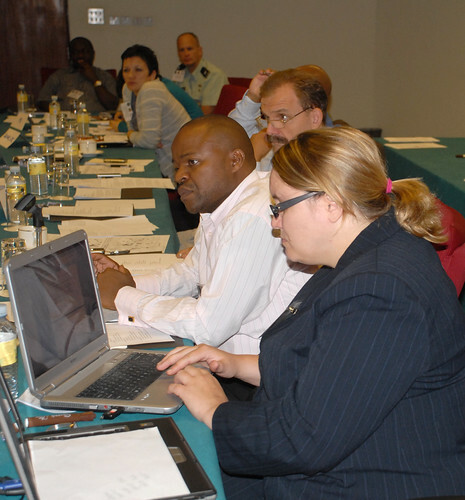 During Exercise Natural Fire 10, representatives from U.S. Africa Command and other international disaster relief agencies brought many of their lessons learned to their East African partner nations in an effort to improve regional disaster response planning. Key military and civic leaders from Burundi, Kenya, Rwanda, Tanzania and Uganda came together to take part in an table top exercise (TTX) from Oct. 17-23 simulating a natural disaster taking place in Uganda that requires regional and international support and coordination. 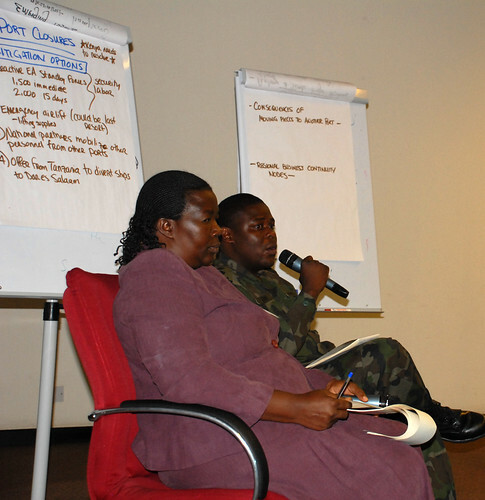 U.S. and international facilitators from U.S. Africa Command and the Center for Disaster and Humanitarian Assistance Medicine (CDHAM) developed and designed the exercise. The scenario used for this TTX was a complex humanitarian disaster resulting from a pandemic flu, said Navy Lt. Cmdr. Carlos Williams, director of Education and Civil-Military Medicine for CDHAM. Pandemic flus cross all borders and can affect large populations on a national, regional and international basis, said Williams, making this the perfect scenario for a regional partnership training event. At the heart of the exercise lies U.S. Africa Command’s focus on improving partner nation military capacity in Africa. “The participants are recognizing how their militaries fit into a complex humanitarian disaster response,” said Williams. “The goal was to bring national and regional participants to the table to discuss how to coordinate with the military during disasters to mitigate loss of life,” he said. 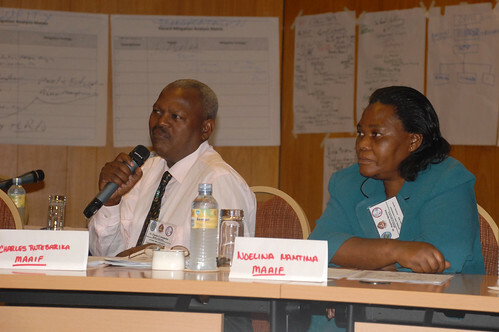 During the six day exercise, participants were split into three response teams: the military response team, consisting of Ugandan and partner nations’ military participants; the national response team, consisting of Ugandan representatives from the military, National Task Force for Influenza and civil organizations like World Food Program and the World Health Organizations; and the regional/international cell, consisting of representatives from the other East African countries, and other organizations like the African Union and the Regional Disaster Management Center of Excellence. The first three days, the participants received background information on pandemic flu, the role of various disaster organizations and the military and the four steps of the disaster cycle: preparedness, response, recovery and mitigation, said Williams. Then, the participants separated into the three groups and role-played their responses to the simulated pandemic flu outbreak around the world, resulting in the disaster in Uganda. 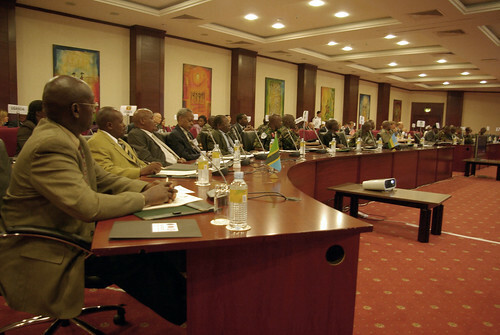 The groups were separated by location in Entebbe and Kampala, and all communication had to be accomplished by phone, computer or meetings, just as in real-life. As the three groups worked through the scenario, the communication and relationship building grew stronger each day, said Williams. “Our biggest goal is to get people around the table and talk about how to save lives, and it has been amazing,” he said. “The crucial point, which was very exciting, was bringing together the military to work with civil authorities,” said Kaboyo. “We have had interactions in the past, during outbreaks like Cholera and Ebola, but they were confined to addressing public health. Rosario said that this is the first time that U.S. Africa Command has conducted a TTX on such a large scale, but it won’t be the last. Another TTX is currently being planned for West Africa and could involve up to seven regional partners, he said.